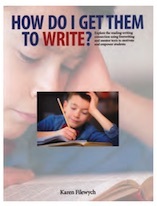 Students with OCD by Gail B. Adams, Ed.D. To request items listed in the book reviews, please sign in using your College Registration Number and Members section password. 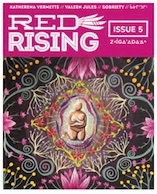 Originally published in the December 2018 issue of Professionally Speaking. 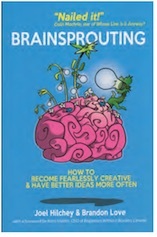 “Brainsprouting” is a whole new approach to accessing your creative powers, unleashing innovative ideas and solving intricate problems that brainstorming rarely achieves. One day, a discarded, empty cage takes a big risk. 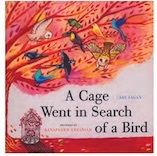 It leaves the safe confines of the attic to find a perfect occupant, a bird who would appreciate it for what it was. Out in the world, it faces ridicule and rejection. It is laughed at, ignored and put down for its appearance and size. Why is Oscar so angry? What has him in such a huff that he never, ever wants to speak to, see or hear from Sam again? The reader experiences Oscar’s fury over his friendship ending with Sam, and the injustice that ended it. Turns out that it was all a misunderstanding that is remedied with a simple apology. As a Toronto alternative school teacher, David Stocker has long recognized the importance of teaching through a critical lens that encompasses race, class, gender, sexuality and ability. 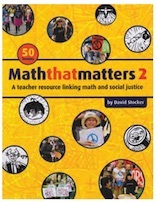 In his groundbreaking book, Maththatmatters, published in 2006, he writes that all material carries a bias. It is our job as teachers to first clearly acknowledge the inherent bias and then teach well beyond it. Senator Murray Sinclair and the Truth and Reconciliation Commission of Canada (TRC) stated in the TRC’s Calls to Action that K–12 educators have a public obligation to build “student capacity for intercultural understanding, empathy, and mutual respect” for Indigenous history.